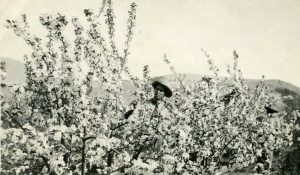 “Historic Plant Day” May 4 1-3pm Learn about some of the important crops from Lander’s early history and plant your own to take home during this Bailey Tire/Pit Stop Children’s Exploration program. This program is hosted in cooperation with the Popo Agie Conservation District. Registration is required. Maximum 12 participants $4.00 per person. 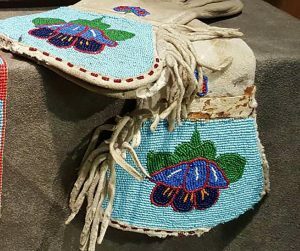 “Lander Historic Walking Tour” May 18 10 am The Pioneer Museum in Lander is hosting a Wind River Visitors Council Adventure Trek May 18th at 10am. 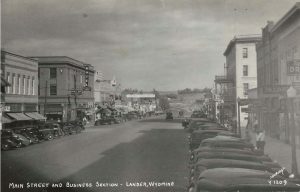 The trek will take a look at some of the historic lander buildings and building sites that helped shape the community. This program is free but reservations are required. Call the Pioneer Museum at 307-332-3339 to reserve your spot. 25 people maximum. “Spool Knitting” May 11 2pm This is a hands on Bailey Tire/Pit Stop Children’s Exploration Series program activity. Pre-registration is required and cost is $2 per child/$3 per adult. Craft your very own knitting spool and learn how to use it! Limit 12 participants ages 6 and up. “Teen-Adult Bead Cleaning Workshop” May 16 7-9pm Do you have a beaded object in need of cleaning? Join the Pioneer Museum’s Collection Manager Robin Allison on May 16th at 7pm for a lesson on cleaning methods and get started on your project. Bring your object and a magnifying glass or reader glasses if you have them. All other supplies will be provided. This program is part of the Wyoming Community Bank Discovery Speakers Series and is free to the public.